Robin Askwith rides a bike, Linda Hayden stops traffic. 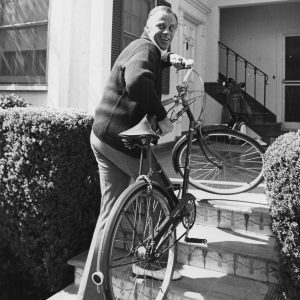 McLean Stevenson carries a bike. 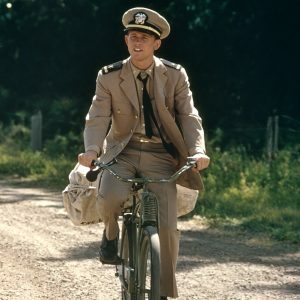 Ron Howard rides a bike.